Remove the inner handle cap (A). Remove the grip trim (A). 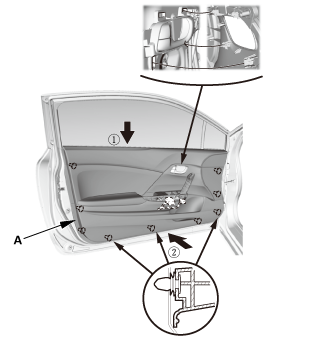 Remove the door panel (A). 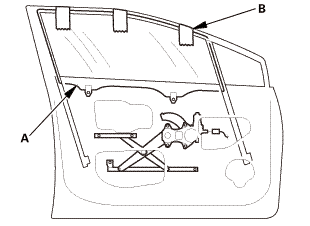 Remove the harness clip (A). 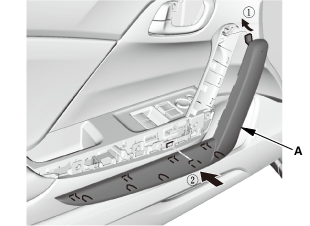 Remove the plastic cover (B). 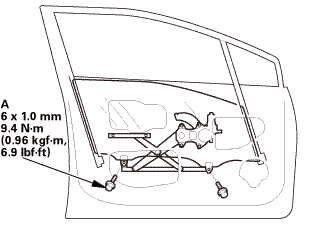 Secure the glass (A) with tape (B). 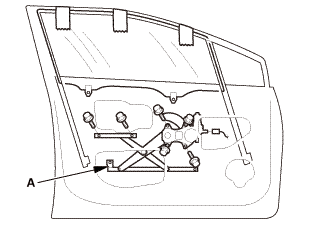 Remove the power window motor (A). 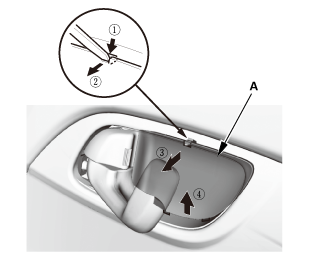 NOTE: Screw threads are not tapped into the new power window motor. Install the new motor as follows, using the self-tapping screws provided. 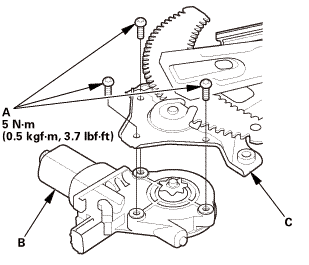 Install the power window motor onto the regulator (C) as shown, and tighten the screws until the screw head contacts with the linkage. Screw in the self-tapping screws, keeping them vertical. Do not use an air tool or impact wrench to install the screws. Use only the self-tapping screws provided with the motor. 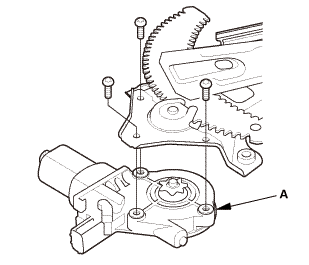 Loosen the screws, then retighten them to the specified torque. 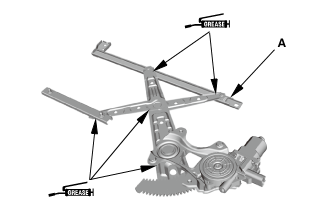 Apply multipurpose grease to all the sliding surfaces of the regulator (A). While holding the glass (A), remove the tape (B). Install the plastic cover (A). 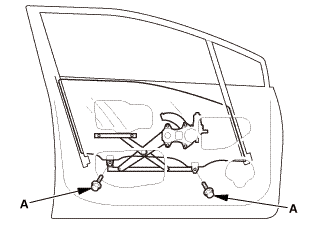 Install the door panel (A). 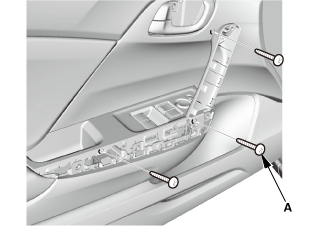 Install the grip trim (A). 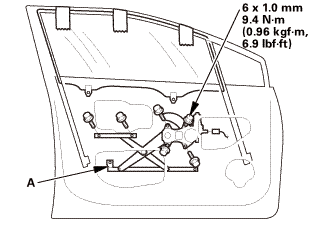 Install the inner handle cap (A).